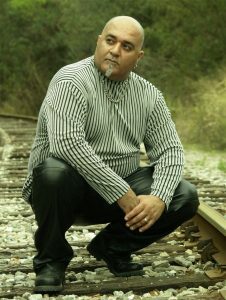 Author, Shahryar Sadree is a unique and multi-talented individual. He is self educated and has written four books (two of which are published). In March of 2016 Sadree published Higher Powered: a book of powerful secrets to finding happiness. 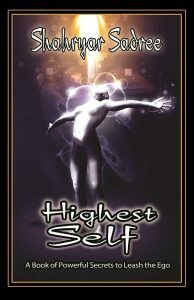 By mid November 2016, he began the editing process for his second book Highest Self: a book of powerful secrets to leash the ego. These book projects were the start of a new chapter in life for Sadree. 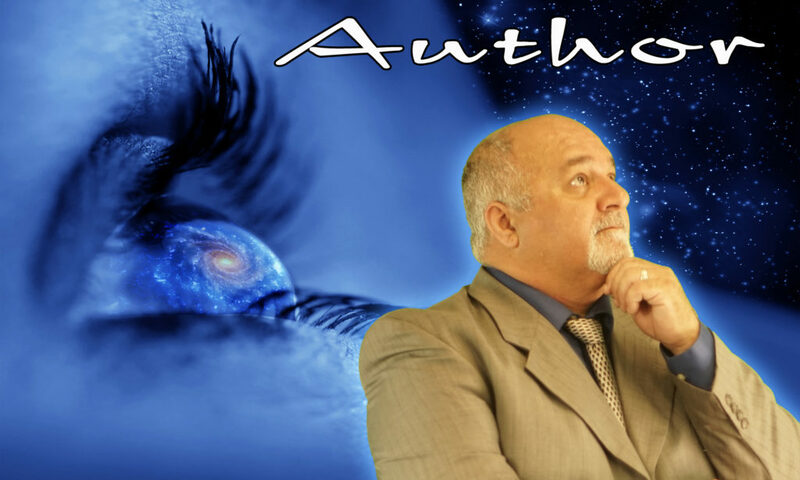 Author, Shahryar Sadree wrote and completed two books prior to the Higher Powered series. Sadree decided not to publish either project, but rather take his first step forward with a masterpiece. A career as a writer was not going to be easy, as learning something new rarely is. All in all, the time and money invested in the beginning was well worthwhile. 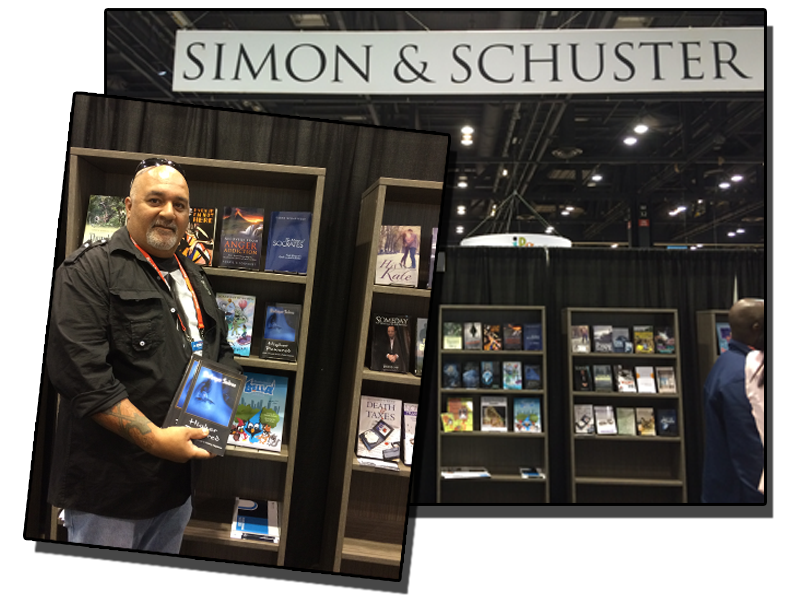 Book Expo America was held in Chicago, Illinois in 2016. This was to be the launch of a new career. Shahryar, with his wife, Angie, at his first book signing at the Miami Book Fair in November of 2016. 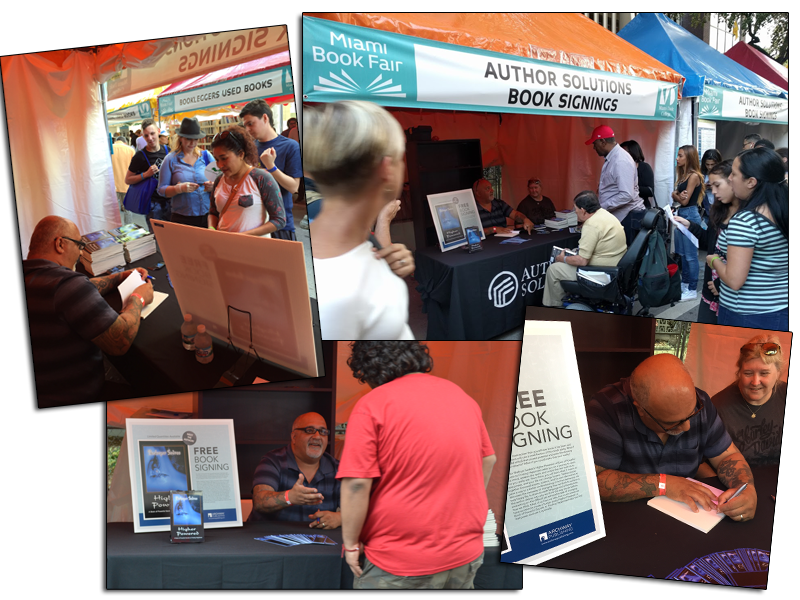 Seventy-five books were signed and given away for free that day. There were some who waited hours prior to this signing event. The project started with years of research on human behavior patterns, religions, and some of his own life experiences. Sadree took deep interest in history and science as a student in high school. Although college wasn’t something he would peruse later, keeping the open mind of a student would help him later in his life. Indeed, this decision was a huge disappointment to his father, who was a doctor of medicine and an advocate of higher education. But, Shahryar had another plan. His method of self education has proven to be more effective and less costly than a formal one. Higher Powered would require more research on history, science and even delve into religion. Using his own experience with the horrors of addiction and the hard-won freedom from it, Sadree created a masterpiece of literary art. This is his story. One that covers everything from overcoming fear to making better choices. This book also includes an overview on the laws of nature. 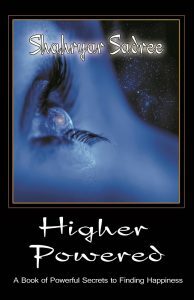 Higher Powered was published in 2016, and is the beginning of a trilogy of knowledge that changed the way Shahryar views the world and himself in it. For more on this book, click here. In Highest Self, Sadree takes his readers a step further in their journey of enlightenment. Living as the spirit is where (according to Sadree) the dreams unfold into reality. This point of view is not uncommon, but put into context like it is in this book, makes it very easy to understand and accept. The ego is cunning and powerful. It is merely a tool, and yet we give it enormous power to eventually take over our lives and our world. We think it is who we are, so without question we accept what we believe. As a result, we are actually living a false version of who we are. Our ego is the impostor that takes the place of our highest self and keeps us from seeing the truth. As long as we hold on to our five senses to guide us, we will never be able to access the sixth. It is the sixth sense that opens doors to spiritual freedom. We have let our ego control us for so long, we have become prisoners to it in our minds. Once we realize that our ego is the puppet pulling the strings of the puppeteer, a new reality unfolds before our eyes…and life will never be the same. 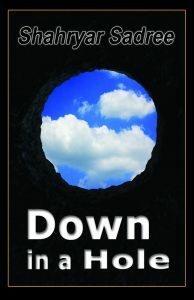 Down in a Hole is an eye-opening look into a side of life that many of us don’t pay much attention to. Our society seems to be declining, as people are starving for knowledge in the age of information. We live in a world of confusion and because we are often too much in a hurry for instant satisfaction, we land our lives in a ditch. What we label as “problems” have a perfectly rational explanation…if we allow ourselves to see it. We are equipped with the tools to work our way towards solutions, yet we chose to make ourselves the victim of our own creations. We do this unconsciously because we have never taken the time to explore the most valuable resource on the planet, and we all have one…the human mind. We know so little about this marvel of life, that we often confuse it with the brain, which is actually a component of the physical body (our vehicle). Only a small number of humans know just how powerful the mind actually is. Those who have unlocked it have become gods in the flesh. The secret is out for all who want it. To unlock this amazing wonder tool, we have to first understand what it is and how it works. When we do, we are given access to a completely different point of view. Our walls come down and the adventure begins! Because when you’re down in a hole, your view is limited… and so are the opportunities that make life worth living! This book will be available Late in 2019. You won’t want to miss this one! As some of you are wondering… when is Sadree going to write something related to finding success and happiness in the world of business? Well, that has also been in the works for some time now. Reaching out to small businesses is a daily activity in 2018. Little time to write, but Shahryar has been taking notes as he is working with his coaching clients. Most common issues that hinder all failing businesses seems to be a closed minded owner that is determined to achieve better by doing the same things. Small business owners have little time to read. Also, getting them to follow through with a new idea will require something with little effort on their part. Sadree is working on a small booklet, and maybe even an audio book or video book… lets see what happens!